The many abuses of authority in homes, schools, churches, and government have left people with the determination to avoid relationships with authority, if at all possible, fostering an independent spirit that leads to isolation. The result is fear and insecurity in the lives of many people suffering from a basic distrust in authority structures. These people could be benefiting from the many blessings of being aligned with Gods order in Creation. In Biblical Headship, we seek to show that the real purpose of delegated authority under God is so that He has someone to call into account for His will being done on Earth as it is in heaven. Biblical authority is for the purpose of serving as Gods representative in every institution of society, implementing His will and not our own. Biblical Headship offers freedom, peace, and joy to the hearts of Gods people and releases a new level of promotion and prosperity into peoples lives. Biblical Headship is really a book about personal revival that results from aligning with Gods purposes. 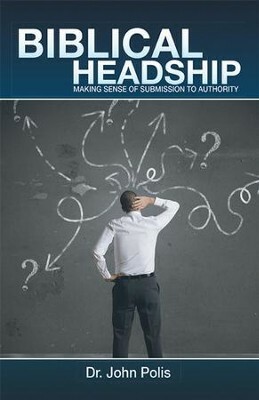 I'm the author/artist and I want to review Biblical Headship: Making Sense of Submission to Authority - eBook.